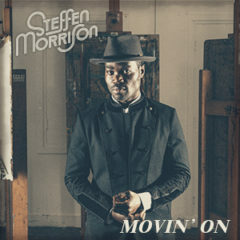 Today Steffen Morrison releases his new album Movin’ On. Earlier this month Steffen already gave us a first preview with the single Takin’ Me Higher. The album will be presented on the 5th of April in Paradiso, Amsterdam after which he will be touring through the Netherlands. On the album Movin’ On Steffen Morrison shows multiple sides of himself. Varying from songs like the soulful ballad We Can Have It All, for which he worked with Stevie Wonder vocalist Keith John, to the powerful title track Movin’ On. With the Movin’ On Tour Steffen and his band will be bringing their new songs to the stage. With a big list of shows throughout the Netherlands the tour is promising to be something really special. See the full schedule below for a list of all tour dates and more information.